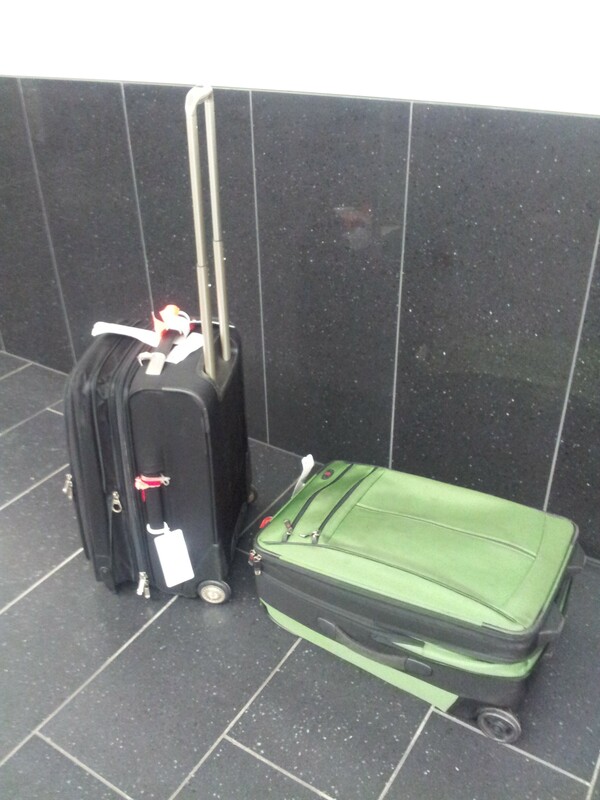 Some of you who follow me on Twitter (@milouness) are aware of the recent adventures of two bags belonging to me and my mom. Actually the bags didn’t do that much adventuring, come to think of it. We were doing all the traveling, supposedly chasing our bags across four European cities while they remained snugly indifferent in London. This little adventure reminded me of some of the most interesting traits of the English and the Germans, well really of humans in general. 1. The British are obsessively honest about their shortcomings. Wait till you get to Munich. The Germans are much better at this than we are. Said to me by a competent and honest British Airways gate agent for the BA flite to Manchester who tried to reassure us that our bags would eventually join us. Now our final destination was supposed to be Vienna so you may ask why we were going to Manchester, UK. To connect to a Lufthansa flight to Munich because that was the closest we were going to get to Vienna that day. The trouble began when our American Airlines flight to Heathrow was about an hour late, due to thunderstorms at JFK. Apparently about half of the missed connections were to Vienna, making it impossible, on a busy travel Saturday, for most passengers to be rebooked on already packed flights. My mom and I were the fortunate ones, or so we thought. We had lucked into the rare London to Manchester to Munich routing. I figured Munich was close enough to where we wanted to go so I cancelled one hotel and changed my car reservation. Everything was good to go but the bags. 3. People and technology can conspire to tell outright lies. Once in Manchester and with our luggage nowhere in sight, we went to chat with a competent Lufthansa agent. Right in front of us she called some Global Baggage Handling Command Center (that’s what it sounded like to me). No sooner had she mentioned the “Medina case” than the person on the other end seemed to recognize its complexities immediately. Your bags are being sent rush to Munich right now. They will probably be in Munich before you get there. 4. The Germans know they are more competent than all the other Europeans (combined?) and are quietly cocky about it. Needless to say no bags showed up in Munich. (Eventually we drove to Vienna the next day to pick up the bags, who sure enough had always intended to go exactly to where they had been tagged.) So we approached the Lufthansa service agent, a magnificent woman of a certain age who anchored the lost luggage desk like an Athena. 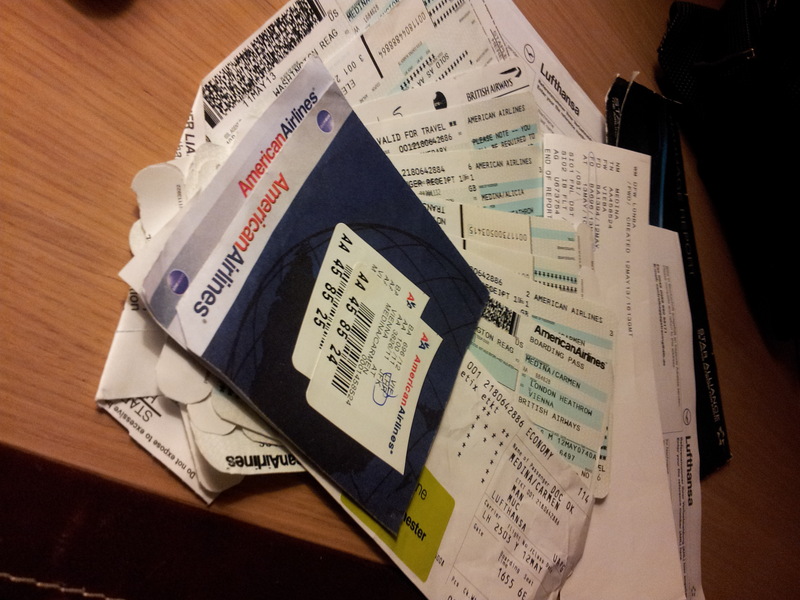 As soon as she saw me clutching my wreath of tickets and boarding passes, she observed: I can tell already you have had a horrible day. Just start from the beginning and tell me everything that happened. She allowed herself only the briefest moment of schadenfreude when I shared the British Airways personnel stated belief that Lufthansa would be able to fix the matter because of their superior skills. She telexed British who told her the bags would be arriving in Vienna the next morning on the same flight we had been booked on the day before. And so they did. Now that I’m done with the luggage story, a few other observations. 5. The occurrence of Graffiti is a reliable indicator of political mood. The first thing I look for when I’m in a new city is the frequency and nature of graffiti. In Europe, for the last ten years or so, graffiti has been the worse in Spain, by far. No highway structures go untouched and graffiti often mars sides of buildings in quite nice neighborhoods. Germany, at least the part that was once Western, is largely graffiti-free. But as soon as you enter the former East Germany, you see it everywhere. 6. Berlin remains a construction Hot Spot. No matter which way you look on the horizon, you see cranes, never alone, at least pairs, triplets, even quintuplets. The beautiful Unter den Linden, which our hotel overlooks, is torn up for the installation of a new U-bahn stop. 7. Americans as a culture combine British cheekiness and German efficiency. These two heritages account for the largest percentage of the US population, by far. We have always been able to turn seeming contradictions into our national advantage. This entry was posted in linkedin, Multiculturalism and tagged Aviation, breakdowns. Bookmark the permalink. My God, Berlin was a crane city when I visited with my Dad in the mid-90s. What on earth!? Perhaps they think it makes them look progressive.